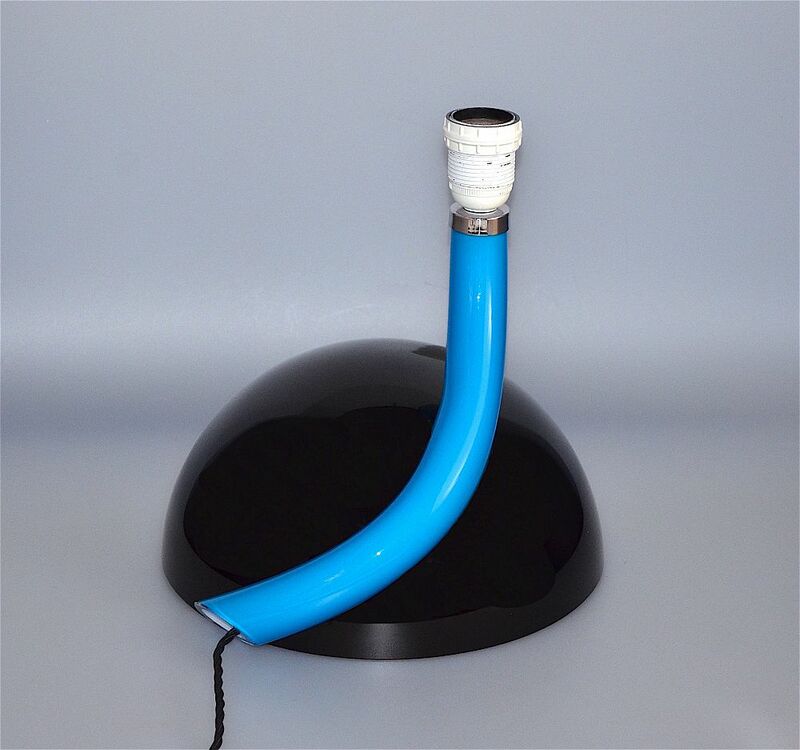 This is a very stylish glass lamp. 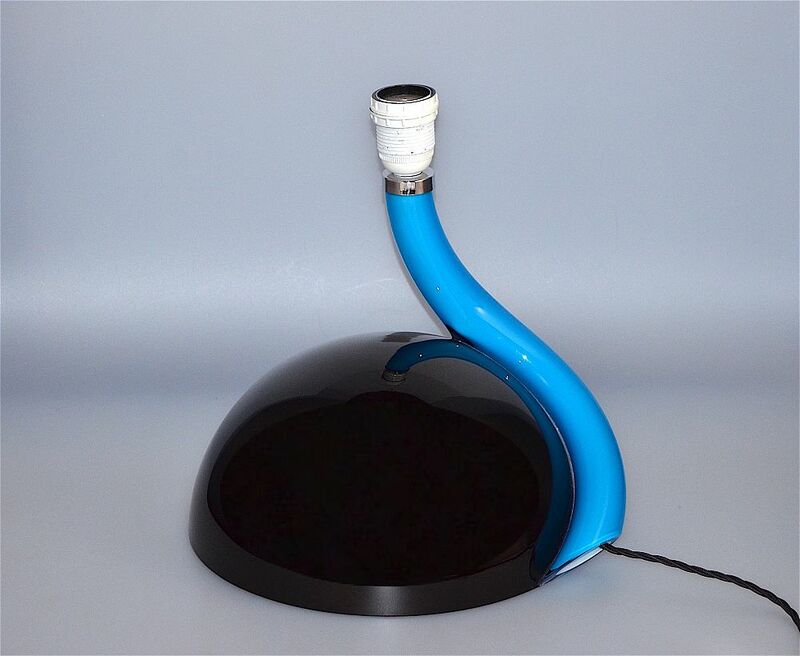 Made in the 1970s-80s probably in Italy, it has a black glass hollow domed base with a vibrant turquoise glass "neck" that curves round the side of the dome to rise above the base. Very good - small chip to base of "neck"